Avid watchers of tech know that Apple is almost as good at requesting patents (though, its record of defending them is somewhat less impressive) as it is at actually creating compelling products. Three years after initially filing for the design of a “portable multifunction device” with a multitouch interface, the USPTO has awarded the Cupertino crew a rather broadly worded patent that’s sure to raise few eyebrows amongst its competitors. The language could easily be interpreted to cover practically any device with a multitouch screen, be it tablet or smartphone — which we’re sure Jobs and co. are excited to add to their growing stockpile of claims to gestures and capacitive displays. Whether or not Apple actually uses its recently granted patent to go lawsuit loony against its market rivals remains to be seen but, chances are, it’ll stay quiet for the time being — those battles with Sammy and Lodsys are already consuming plenty of precious resources. 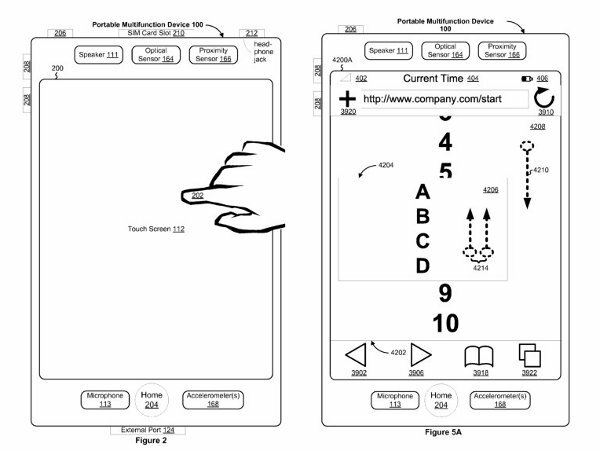 Apple granted broad patent for ‘portable multifunction devices’ with multitouch screens originally appeared on Engadget on Wed, 22 Jun 2011 17:17:00 EDT. Please see our terms for use of feeds. 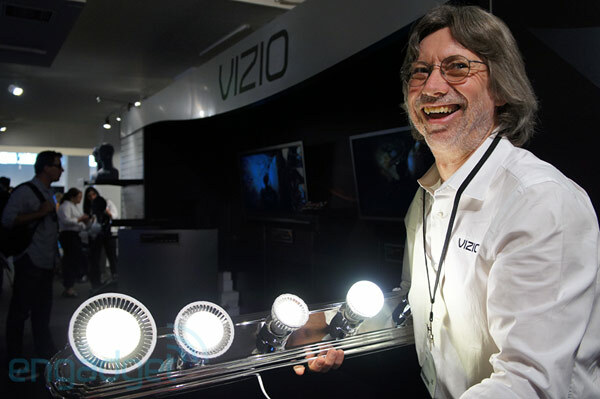 Vizio, your favorite low-cost TV leader introduces… a light bulb (video) originally appeared on Engadget on Wed, 22 Jun 2011 16:54:00 EDT. Please see our terms for use of feeds. As Google TV gears up for a Honeycomb-based v2.0, the team announced at the I/O event that developers could get access to “Fishtank” hardware for them to test their apps on and here it is, revealed by Geek.com. The hardware itself is a relatively nondescript box packing an Intel CE4100 processor (no ARM…yet) and a Logitech Revue wireless keyboard that connects wirelessly via a USB dongle, plus a few more ins and outs than retail boxes have including coax. The software is the real star with its Android 3.1 style blues and blacks in the new menus providing access to a list of running apps, logged in accounts and notifications. Things could change before the beta ends, but this report indicates a major issue between is how developers will get to display or interact with live TV. Being able to overlay data on a live feed, or at least have Dual View picture-in-picture is a big part of many developer’s plans and so far Google has apparently not committed to making API access available. Bringing interactivity to broadcasts would be a major advantage for Google TV as a connected TV platform if it can pull it off, we’ll see if it makes it into this summer’s update or if it ends up on the waiting-for list alongside SageTV integration. Google TV 2.0 ‘Fishtank’ developer kit revealed running Honeycomb and apps originally appeared on Engadget on Wed, 22 Jun 2011 16:40:00 EDT. Please see our terms for use of feeds. This entry was posted on June 22, 2011, 5:34 pm and is filed under Mobility. You can follow any responses to this entry through RSS 2.0. Both comments and pings are currently closed.